This page contains photo collections from various GOES-R events. 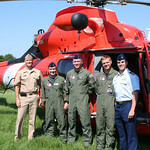 During this 11-week campaign, a team of instrument scientists, meteorologists, GOES-16 engineers, and specialized pilots will use an outfit of high-altitude planes, ground-based sensors, unmanned aircraft systems (or drones), the International Space Station, and the NOAA/NASA Suomi NPP polar-orbiting satellite to collect measurements across the United States to support validation of the GOES-16 ABI and GLM instruments. 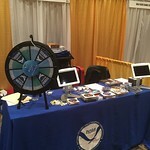 Images from the 97th American Meteorological Society (AMS) Annual Meeting. The AMS Annual Meeting is the world’s largest yearly gathering for the weather, water, and climate community. 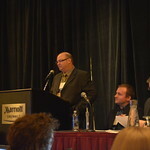 The conference was held January 21‒26, 2016 in Seattle, Washington. The theme of the meeting was "Observations Lead the Way." The 2016 NOAA Satellite Proving Ground/User Readiness Meeting was held May 9‒13 at the National Weather Center in Norman, Oklahoma. The meeting focused on accomplishments to date, current efforts underway, and future actions with respect to infrastructure and training, to ensure the National Weather Service is ready for the receipt and operational use of GOES-R and JPSS-1 data. Program updates, satellite operations, data dissemination and applications, training and Proving Ground demonstrations were highlighted. Images from NOAA Satellites and NOAA line and centers offices at the 96th American Meteorological Society (AMS) Annual Meeting. The conference was held January 10‒14, 2016 in New Orleans, Louisiana. The theme of the meeting was "Earth System Science in Service to Society." The 2015 NOAA Satellite Conference took place on April 27‒May 1, 2015 in Greenbelt, Maryland (#NSatCon15). The theme of the conference was "Preparing for the Future of Environmental Satellites." 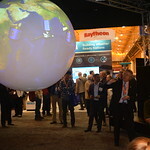 The conference brought together users and providers of polar-orbiting and geostationary satellite data, products, and applications, from the public, private, and academic sectors. 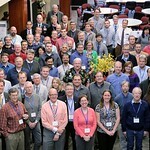 2015 NOAA Satellite Science Week was held February 23-27 at the University Corporation for Atmospheric Research in Boulder, Colorado. Science Week is a joint meeting to review and discuss the state of the science portfolio of the GOES-R and JPSS programs. This includes GOES-R and JPSS products, their availability and maturity, risk reduction science activities, and calibration/validation. This meeting is an essential component of user readiness for the next generation of NOAA geostationary and polar-orbiting satellites. Images from NOAA Satellites and NOAA line and centers offices at the 95th American Meteorological Society (AMS) Annual Meeting. The conference was held in Phoenix, Arizona, January 4-8, 2015. The theme of the meeting was "Fulfilling the Vision of Weather, Water, and Climate Information for Every Need, Time, and Place." 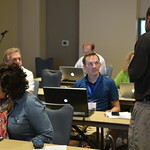 The AMS Short Course: Preview for Broadcasters was a day-long session preceding the 43rd American Meteorological Society (AMS) Conference on Broadcast Meteorology in Raleigh, North Carolina. 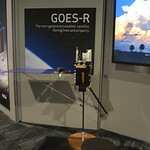 The GOES-R short course was designed to make broadcasters aware of GOES-R capabilities, how it can improve their services to the viewing public, and what equipment upgrades are needed to handle the new data and products. In addition to informational presentations, the course offered hands-on experience with proxy and simulated GOES-R products and capabilities. 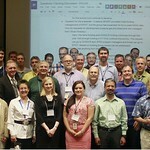 The 2014 NOAA Satellite Proving Ground/User Readiness Meeting was held June 2–6 at the National Weather Service (NWS) Training Center in Kansas City, Missouri. The overarching goal of the meeting was to determine the path for operational forecasters to obtain the skills, competencies and ability to use GOES-R/JPSS data in the forecast process once the data are available. NOAA Satellite Science Week was held March 10-14, 2014 at the Cooperative Institute for Meteorological Satellite Studies in Madison, Wisconsin. NOAA Satellite Science Week is a joint web-based, virtual meeting and on-site review of the GOES-R Algorithm Working Group (AWG), GOES-R and JPSS risk reduction science activities, and calibration/validation. The meeting promoted a dialogue between product developers and user communities, ensuring a path for the transition of research to operations and user readiness. 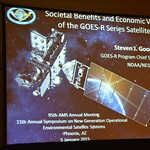 The AMS meeting also hosted the 10th Symposium on New Generation Operational Environmental Satellite Systems, which highlighted many of the development activities, program science and user-readiness preparations underway in the GOES-R and JPSS programs. GOES-R spacecraft developer Lockheed Martin Space Systems in Littleton, Colorado, recently hosted a media event for Denver area broadcast meteorologists. Participants were invited to tour the clean room where the GOES-R satellite is under development and to hear from GOES-R Program Chief Scientist Dr. Steve Goodman and Lockheed Martin Vice President Tim Gasparrini about the advancements the GOES-R series will bring to weather and severe storm forecasting. 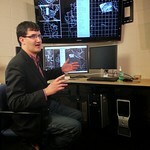 The meteorologists also conducted on-camera interviews with Dr. Goodman and GOES-R Flight Project Manager Pam Sullivan. 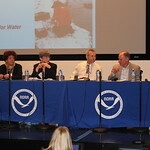 The 2013 NOAA Satellite Conference for Direct Readout, GOES/POES, and GOES-R/JPSS Users was hosted by NOAA and was held at the NOAA Center for Weather and Climate Prediction (NCWCP) in College Park, Maryland, on April 8-12, 2013. The conference brought together users and providers of polar-orbiting and geostationary satellite data, products and applications from the public, private, and academic perspectives and provided a venue and opportunity for greater collaboration between and among environmental satellite users in the Western Hemisphere. 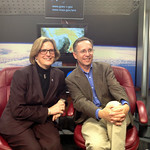 A live media event focusing on GOES satellites and the 2012 tornado season took place on April 3, 2012 at Goddard Spaceflight Center and featured NOAA Deputy Administrator and acting Chief Scientist, Dr. Kathryn Sullivan, and National Geographic tornado researcher, Tim Samaras. 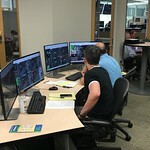 Dr. Sullivan and Samaras explained the vital importance of GOES data and GOES-R’s future capabilities in the understanding and prediction of severe weather and tornado outbreaks. More than 40 stations across the country participated, including the Weather Channel.